Forget Elder Scrolls Blades, how about playing a real game from the popular franchise? 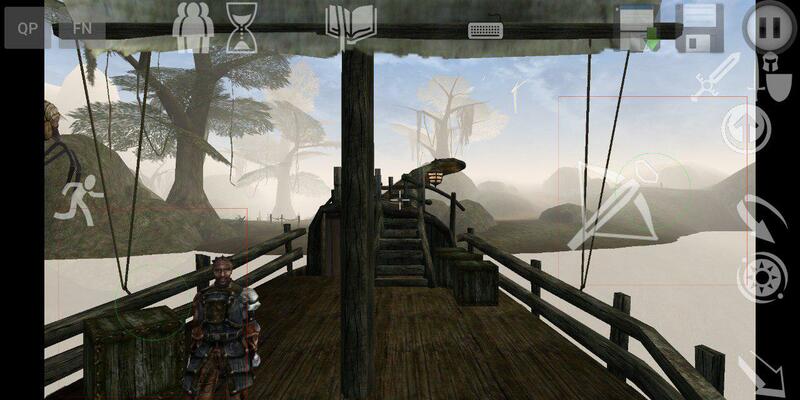 Do you know how to install Elder Scrolls Morrowind on Android? It’s very simple to setup, and you can do it for free if you have a legal copy of the game. Speaking of which, Bethesa Softworks is celebrating the franchise’s 25 year anniversary by giving away Elder Scrolls Morrowind on PC until March 31st, 2019. If you don’t have the game already, head to Bethesda.net and create a free account, or login to your existing account. Use the code TES25TH-MORROWIND and redeem it on the giveaway page. Now, download the Bethesda launcher and install it on your PC. Login to your account in the app, and download ES3: Morrowind. This is a DRM-free version of the game, so you can play it without running the launcher on your PC. Just run the game’s exe and you are good to go. But, what about playing the game on your Android phone. Yes it is possible, thanks to an app called OpenMW for Android. It is based on OpenMW (Open Morrowind for PC). It is a free and open source engine, which allows users to play the game on modern computers, QoL improvements, and more. You can read about it on the official website. You can also use your Steam or GOG version of the game. It doesn’t matter, just make sure you have the Game of the Year Edition which has all the expansions. Copy the data files folder to your phone, rename it to remove the space. 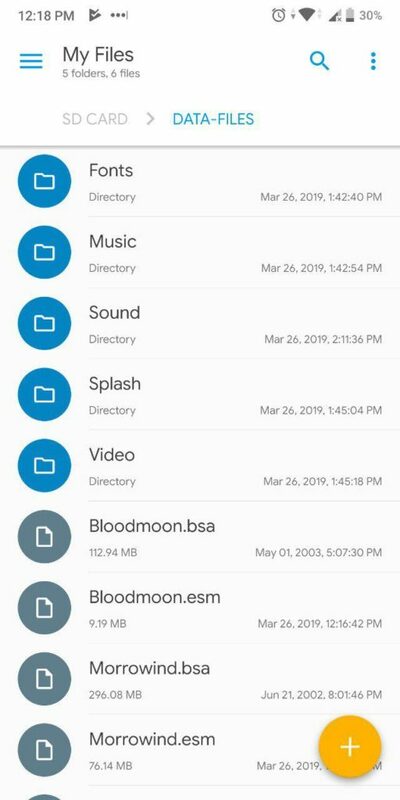 Install the OpenMW app and select the location of the folder. How simple is that? Here is a detailed, step-by-step guide. 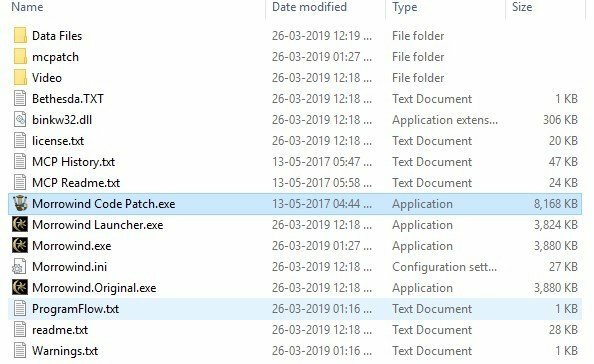 After installing the game on your PC, you should download the Morrowind Code Patch from the Nexus mods website (You have register for an account there). 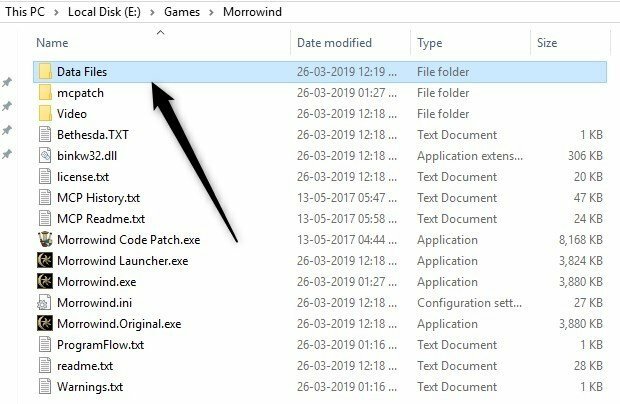 Installing the MCP is easy, copy the folder’s content to the game’s folder (which contains Morrowind.exe). 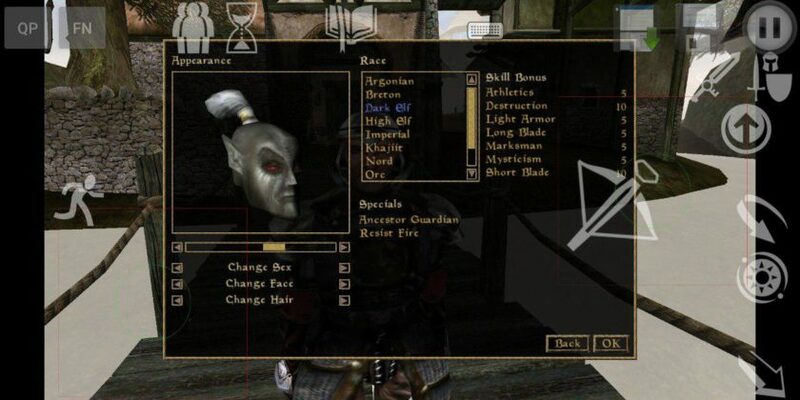 Run the Morrowind Code Patch.exe and it should ask you to pick some options. If you are new to this, just click “Apply chosen patches”, the default selection is fine. 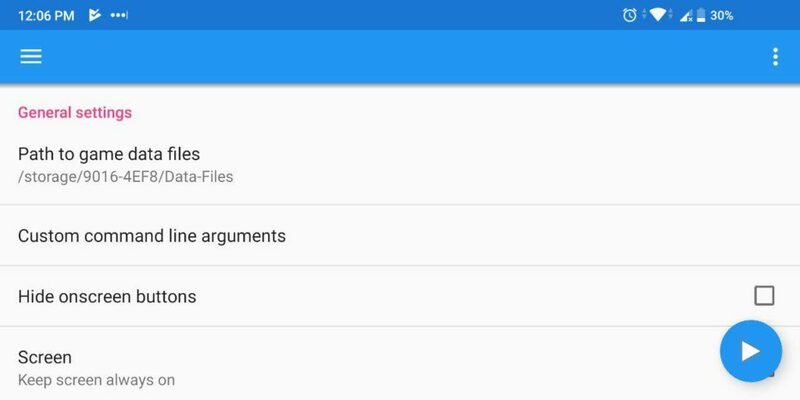 Copy the folder called “Data Files” to your Android phone/tablet. The folder is about 935 MB in size, so you may wanna put it on your microSD card. It doesn’t matter where the folder is located on your phone. IMPORTANT: Once you have copied it to your phone, you have to rename the folder’s name from “Data Files”, to something like “Data-Files”. Just make sure there is no space between the words, its something that the OpenMW app requires. Step 3: Downloading the OpenMW for Android app. Download the OpenMW for Android app from the official github page. It is called app-debug.apk. You may find the app’s FAQ page useful, should you want to tinker with the settings, or have some issues. Install and run the app, and it will ask you to select the location of the game’s data folder. That’s the one from Step 2. Type the location or use a file manager app which can copy the full path. For some reason it doesn’t have a browse for folder option, which is too weird. Amaze File Manager: Select the three dot menu next to the folder, Properties > long press the location. You may wanna open the folder itself before using this option. Explorer (Speed Software): To copy the path, tap on the top of the screen where the folder’s address is displayed. X-Plore File Manager: Long press the folder name, select “Show details” and tap the copy icon next to the path. That’s it, you are good to go. 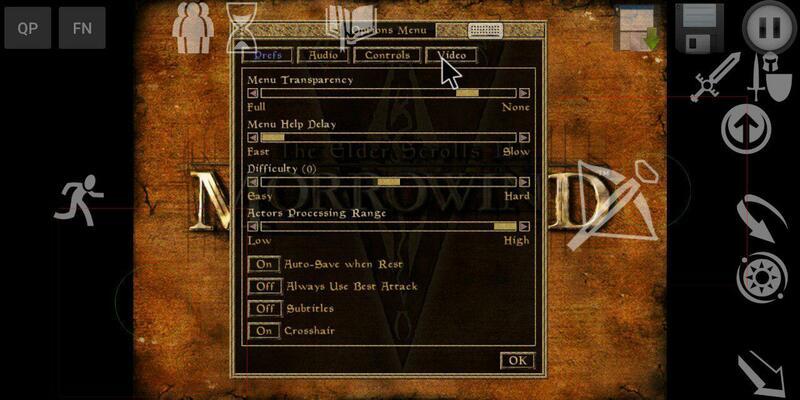 To play Morrowind click on the Play button. The app’s controls require a bit of getting used to, but you can absolutely play the game from start to finish. Here are some screenshots from the game. 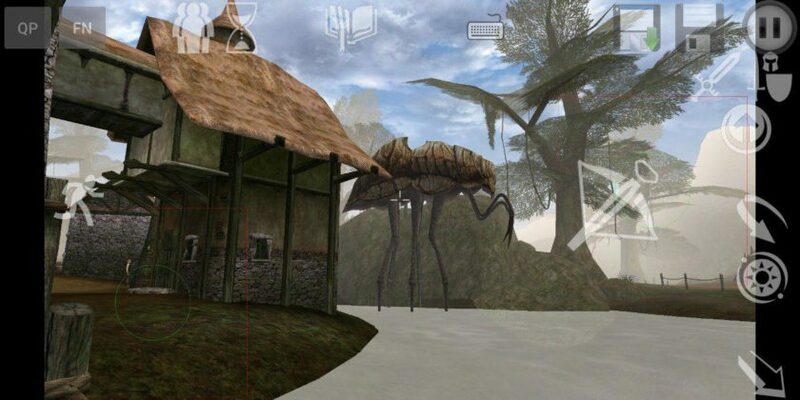 Now you know how to install Elder Scrolls Morrowind on Android. If you find the text too small I recommend setting the UI scaling to 1 or 2, depending on your device’s screen size and resolution. You can also hide the on-screen buttons, from the app’s settings.